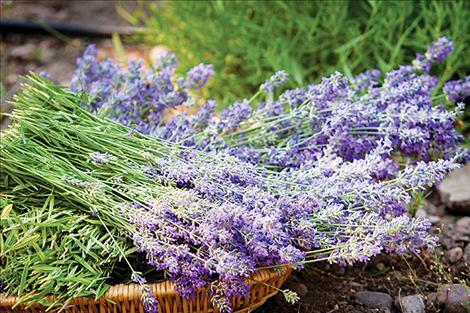 Eileen cuts the first bunches of the English varieties, (Munstead and Blue Hidcote, Lavandula Angustifolia). 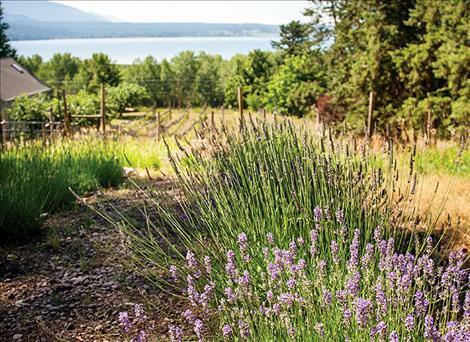 These yearling plants thrive in the arid heat of summer and will mature to full size within 3 years. 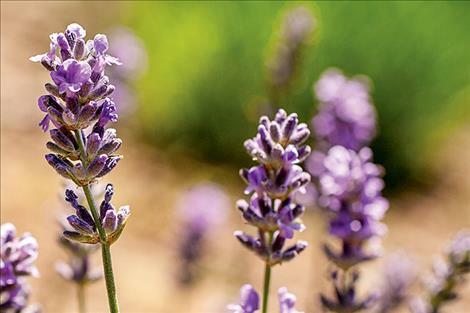 The taller French variety, (Grosso Hybrid, Lavandula Intermedia), will bloom in the follwoing weeks. 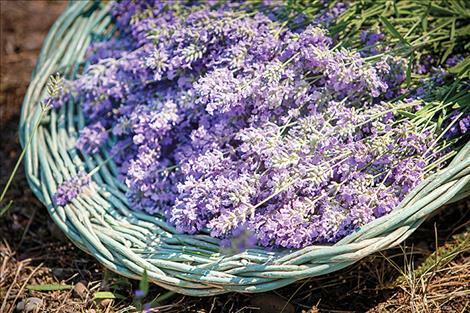 Both varieties are excellent pollenators and can be used in numerous medicinal, culinary and crafting purposes. 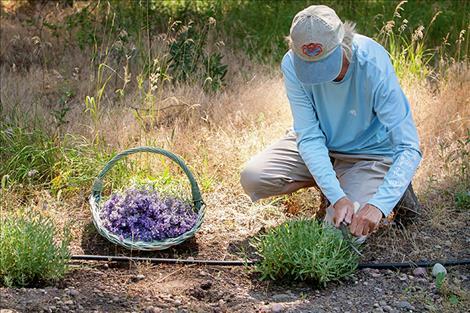 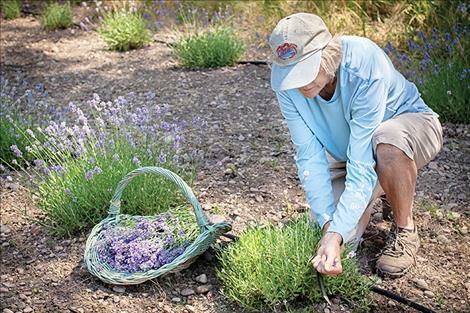 It’s been a bountiful lavender harvest this July for local grower Eileen Neill, owner of Spotted Bear Vineyards and Lavender Farm on Finley Point.